I came across this story on the New Scientist website, which describes how a by-product from the beer brewing process could be used to make bricks with better insulating properties. The brewing industry produces very large quantities of spent grain as an unwanted by-product, which is usually just sold on as animal feed for a very low price. Now, researchers from the Polytechnic Institute of Tomar have found that mixing around 5 percent of this grain into the clay mixture produces bricks which proved to be very good at trapping heat, while still retaining the strength of ordinary bricks. This work could provide a huge boost for the brick industry, as the need for more environmentally-friendly housing is greater than ever, and there are often incentives in place for the use of energy-saving building materials. Moreover, with energy bills constantly on the rise, homeowners will be on the lookout more than ever for more cost-effective living. Furthermore, finding a more useful application for a by-product of any industry is always a big plus, and breweries will relish the opportunity both to add value to their products and make their businesses more sustainable. This is essential reading for any researchers or academics who are having trouble gettings grants accepted. It’s getting more and more difficult to get funding for research these days, and any way of improving your chances is definitely worth considering. Your grant application will probably only be read by half a dozen people who matter. Sure, you might get your colleagues to read it in draft. It might be reviewed by your local research whisperer. But they aren’t the people who matter! They are not the people you are writing it for; they aren’t your real audience. They aren’t the six that matter. Who are the all-important six? Well, one or two people from the funding agency will read it. They might send it out to three to four assessors – not all of them might respond. Between them, those half-dozen people will decide if it gets funded. They will pass a recommendation to a board or a government minister who will approve the funding. Someone from the minister’s office might scan a list of titles and summaries before your application is finally approved. In September 2014, the University of Bristol will be hosting a Faraday Discussion entitled Physical Chemistry of Functionalised Biomedical Nanoparticles. There will be speakers from all around the world giving presentations on this cutting edge topic, with a strong aim of promoting deep discussion in the field. Nanoscience and nanotechnology has found applications in many aspects of modern life, but this conference focuses primarily on the functionalisation of nanoparticles for their use in the medical industry. Nanosilver has already started to be used in this field, but there are still changes to be made for this nanoparticle to improve its properties and widen its applications, and more to be explored for other nanomaterials, including nanotubes and graphene. If you’re interested in this area of chemistry – good news! The deadline for abstracts is tomorrow, so there is still time to get involved! The organisers ask that oral abstracts outline current work in progress, and selected authors will be asked to present their work as a full research paper. Furthermore, the deadline for poster abstracts is 30 June 2014, so early career researchers and students have the chance to present as well. This is an excellent opportunity for researchers in a very exciting area of chemistry to get together, network and share ideas. If you want to find out more, the website for the event can be found here. You may remember my post about the upcoming Dalton Discussion being held in July at the University of Edinburgh entitled Advancing the Chemistry of the f-elements, and now the deadline for oral abstracts is approaching! The f-elements have the possibility to be involved in many interesting applications, with their chemistry being quite different from their transition metal neighbours, and there is much scope for their use in the nuclear power industry. There is still much to be learned about the f-elements, with their chemistry often being surprising and unexpected, and events such as these help to bring researchers with expertise in this area together to share ideas. Abstracts must be no longer than one A4 page, and submitted by the 2nd December. The authors who are selected will also be asked to present their work as a research paper, will be put together in a special edition of Dalton Transactions. There is also a deadline for poster abstracts on 19th May 2014, giving younger researchers the chance to be involved in the conference as well. If you want more information about getting involved in this event, their website can be found here. So, there we have it! Two deadlines for two very different but equally interesting events happening next year. Why not get involved, and help develop your career? This link will lead you to an article I recently wrote which has been published on the website of the University of Nottingham’s student magazine, Impact. Here, I give a snapshot of some of the cutting edge and exciting research that is being carried out at our School of Chemistry. The magazine is primarily aimed at undergraduates at the University, who I think aren’t always aware of what important research is being carried out right here on our campus. This goes for other Schools as well, and Impact are hoping to feature more of Nottingham’s research on a regular basis. Research isn’t always an obvious part of a university’s activities to undergraduates and the general public alike, but it is a vital aspect of every University, and high-quality research is a key driving force behind a University’s rankings, reputation and ability to gain funding. The School of Chemistry here at Nottingham is undertaking excellent research in all areas of chemistry, and this article highlights just a few examples of this. I’m very proud of my department and, given a higher word limit, I could go on and on about our research. I personally think it’s very important for students and staff at any university to be aware of what research is being done in their department. Often, if you just take a look, you find there’s something being worked on that you had no idea about, and that it’s something you’re actually really fascinated about once you look into it. I won’t turn this post into an advert for our department, but I do recommend that you take a look at my article if you’d like to get a flavour of what’s going on here. There’s some very high-quality research being done at Nottingham in all areas of chemistry, and you can find out more information on the School of Chemistry website. There’s bound to be something you’re interested in! 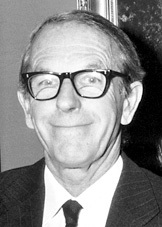 One of the few scientists to win two Nobel prizes, Frederick Sanger, has died this week at the ripe old age of 95. He is most famous for his work in creating a way of sequencing and decoding DNA, which has transformed biochemistry, genetics and molecular biology forever, and earned his his second Nobel prize in Chemistry in 1980. Frederick received a BA in Natural Sciences from Cambridge in 1939, going on to study a PhD there in the Biochemistry department, working on lysine metabolism. Continuing to work in the biochemistry and medicinal chemistry field, he became interested in determining the structures of components of living matter, and won the 1958 Nobel prize in Chemistry for determining the molecular structure of insulin. From here, his career took off, and Frederick found that he had access to more funding, better laboratory facilities and collaborations with other excellent scientists. In the 1960s, he became interested in DNA,and was shocked to find very few researchers were interested in the field. In 1977, he and his team announced the creation of what is now known as the Sanger method of sequencing DNA, and this area of biochemistry was changed for the better forever. Suddenly, scientists were able to quickly determine the sequences of human DNA, and soon after the method was automated, and used to sequence the human genome. A remarkably hard-working and devoted scientist, Frederick Sanger remained modest of his achievements throughout his life, despite the enormous impact his work has had on a huge segment of scientific research. His work has paved the way for the more modern methods of DNA sequencing used today, and has allowed for a remarkable level of understanding in nucleic acid chemistry which wouldn’t have been possible otherwise. He has been and continues to be an inspiration for biologists, biochemists and medicinal scientists around the world, and his legacy will continue to live on in the continued exploration of the building blocks that make up all living things. The latest featured journal to be featured is something a bit more specific – Macromolecules. With polymers being one of the most industrially-relevant areas of chemistry, research in this area is more active than ever. 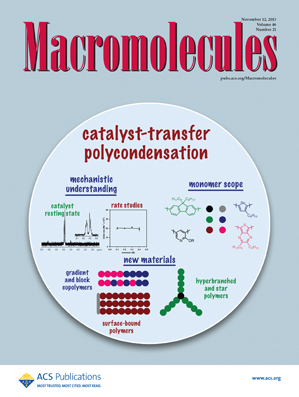 Macromolecules covers all areas of macromolecular and polymer science and has an impact factor of 5.521, making it the go to journal for polymer chemists everywhere. The journal looks for original research in polymer synthesis, mechanisms, kinetics, characteristics and properties, giving a broad view of what’s going on in this area of chemistry right now. The articles are presented as full papers, communications or technical notes. You can find the latest issue of Macromolecules here, but you may need a subscription to view all of the content. Hydrogen bonding motifs have often been used to great effect to influence the properties of polymers, and here a monomer is used which is able to form four hydrogen bonds to give nanofibre-like aggregates. The hope of this work is that these fibres can be used as new supramolecular biomaterials, in applications such as artificial kidneys. Different annealing temperatures of the product led to polymers with different supramolecular structures, which greatly affected the cell activity, and so gave tremendous insight into how such materials should be processed in order to give more desirable properties. This is a key example of how the structure on the macroscopic scale can greatly affect the properties of a material, even if the chemical makeup is identical. For a bit of something different, this paper describes a polymer containing a tridentate ligand. This is then able to bind to zinc ions, forming a metallosupramolecular polymer with incredible properties. The supramolecular structure of the final polymer gives it high strength and toughness, which is useful in itself. Moreover, they are able to ‘self-heal’ – if the material is cut, scratched or broken, applying a solvent allows it to reform and regain its mechanical properties. This is a really exciting and intriguing piece of chemistry, and could lead to a new generation of advanced materials. There is a lot of work being done at the minute attempting to create devices which can have their electrical properties ‘switched’ on and off. Traditional ferroelectric materials are inorganic in nature, but polymeric organic materials are highly desirable due to their flexibility and easy processibility. Here, nanoimprinting is used to give a material which can have its ferroelectric switched on and off. This is intriguing chemistry, and could lead to the formation of new all-organic flexible electronic devices. This is interesting polymer chemistry which differs a little from the norm. as it involves the synthesis of highly hydrophilic zwitterionic polymers. Using traditional free radical polymerisation, a polymer featuring an N-methacrylolyl-L-lysine backbone is synthesised, which is an ideal candidate for biological applications as it has high solubility in aqueous media, is non-toxic and doesn’t form aggregates in human tissue. Furthermore, it has a tendency to bind to divalent cations, which can help to form a net cationic charge, allowing for binding to plasmid-DNA. This high level of bio-compatibility really opens doors for the use of these materials in human systems! Polymers are still as attractive as ever for chemists and materials scientists alike, as there is a plethora of uses and applications that they could have. Macromolecules showcases a range of new polymer research, and is definitely worth keeping a regular eye on if you have an interest in this topic! Many apologies for the slow down in posts this week, I’ve had a few technical issues. Rest assured, posting will resume tomorrow!